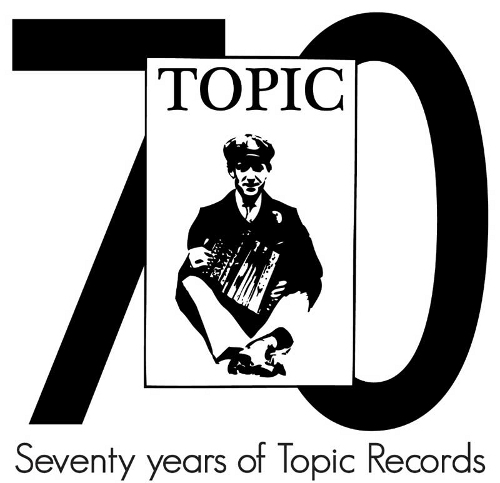 It's the 70th anniversary of Topic Records this year. Some of the great names in folk through that time have recorded for Topic, such as John Tams, Shirley Collins, Nic Jones, Martin Carthy, June Tabor and The Watersons. Folk has been finding a new and growing audience in recent years. And you can't get a more authentic musical experience than seeing a live folk act playing in a poky pub venue. No auto-tune, no trickiness, just raw musicianship and soul. Topic has played a part preserving this part of Britian's music heritage, the singers and the songs, but also in keeping folk music alive and vital. A new album is released this week by folk doyen June Tabor and the Oysterband. Ragged Kingdom is a somewhat belated follow-up to their first album collaboration, Freedom and Rain, which was first released 21 years ago. The collection of tracks on Ragged Kingdom include folk classics such as Bonny Bunch o' Roses (Nic Jones' version is pretty definitive), but also a few more contemporary songs including P J Harvey's That Was My Veil and a fine, haunting version of Joy Division's Love Will Tear Us Apart. Here's a live recording. It really works.